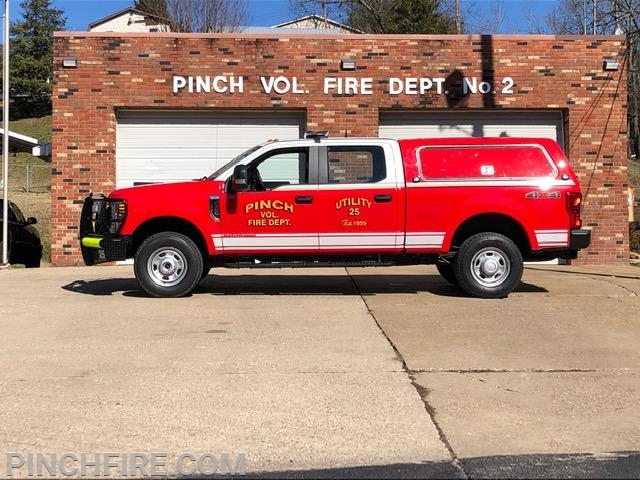 On January 25, 2019 members placed the new utility 25 in service at our Big Chimney fire house. Utility 25 is now a 2019 Ford F-350 Super Duty 4 wheel drive crew cab pick-up and is powered by a 6.7 liter Power Stroke. 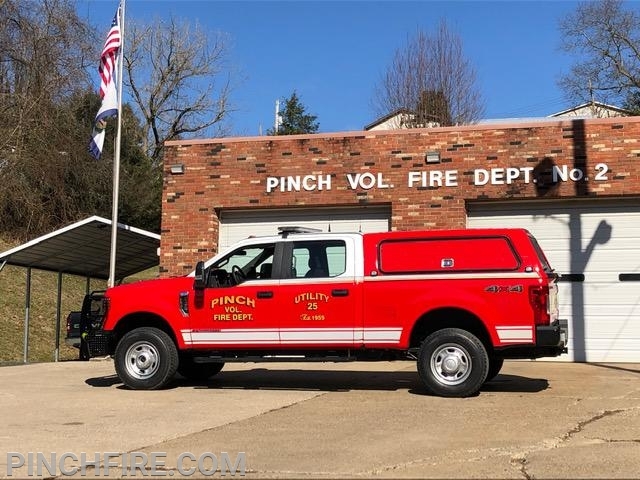 The truck is up fitted with a Leer bed cap, DECKED truck bed storage, a Slide Master tray, LED emergency lighting with siren and a 12,000 LB electric bumper mounted winch. This new Utility replaces the 2007 model pickup that was donated to us in 2010. The department wishes to thank the members that worked diligently up-fitting and equipping the new truck. With special thanks to Jon Coleman for his wiring expertise and Adam Neal for the wonderful paint job. We would also like to thank the communities that we serve because without them this project would not have been possible.